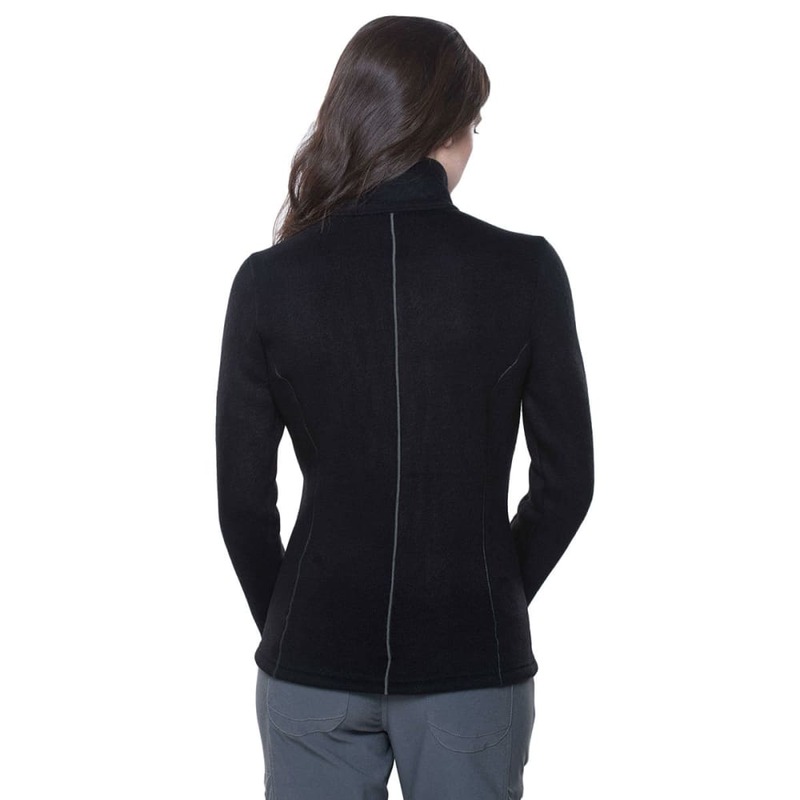 The Kuhl Stella™ Full Zip Jacket features Alfpaca Gold™ fleece for performance, durability and warmth. An upgrade from the original, Alfpaca Gold uses a ring-spun process for greater softness and durability than open-ended yarn. Knit with multi-toned yarn, this material exhibits a richness and depth not seen in other fleece. Sewn with Dynamik™ stitching for more stretch and strength than traditional flatlock, low bulk seams make layering comfortable and easy. Princess lines create a flattering, feminine fit.